SICSR MBA (IT) Admission 2018 will be based on the candidate’s individual performance on SNAP Test (Symbiosis National Aptitude Test). Candidates need to appear in SNAP test that will be held on 17 December 2018. SICSR MBA (IT) Admission 2018 is conducted by Symbiosis Institute of Computer Science and Research (SICSR). 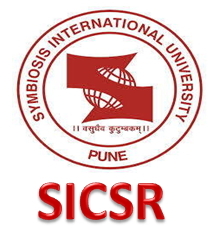 SICSR or Symbiosis Institute of Computer Science and Research is one of the constituent Institute of Symbiosis International University and located in Pune. It offers both Undergraduate and Post Graduate program in the fields of Computer and Information Technology. SICSR offers two years full-time MBA (IT) based on SNAP scores and apart from it, SICSR also offers MSc (CA). This page provides details about MBA (IT) program. The candidates willing to join MBA (IT) program in SICSR have to appear in SNAP Test by first registering for the SNAP and then with SICSR. If shortlisted, he/she would then attend the GE, PI and WAT process conducted by SICSR. SICSR MBA Seats: There are 90 seats for MBA (IT) program. Indian Candidates: The candidate must be a graduate in any discipline of any statutory University with at least 50% marks and 45% in case of SC/ST. International Students: The student must be a Foreign National (FN), Non-Residential Indian (NRI) or Person of Indian Origin (PIO) and must appear into SNAP Test top be eligible. SICSR application can only be made online only if the candidates have already Registered themselves for SNAP registration and appear in the SNAP Test. 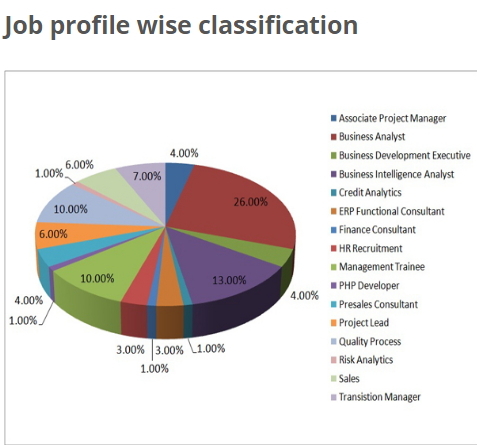 The candidates while filling the SNAP Application Form need to make the selection of the SICSR institute as per their preferences of the postgraduate programme. The process to fill the SICSR registration form is given below. The candidates are suggested to follow the steps given below to register themselves. Registration for SNAP: The candidates willing to seek admission into SICSR programme need fill the SNAP registration form by mentioning required information. Selection of Institute: While filling the SNAP registration form, the candidates have to make the selection of the SICSR Institute as per their preference of the PG programmes. The candidates looking forward to getting admission into the Symbiosis Institute of Computer Science and Research (SICSR) need to pay the SNAP registration fee as well as institute fee. The fee has to be paid through online mode only that is Credit Card /Debit Card/ Net Banking. SICSR Admission 2017-18 will be on the basis of the SNAP score for the candidates who have appeared in the SNAP Test 2017-18. It will be a written test to be held on December 18, 2016. SNAP Result will be declared in the 2nd week of January 2018. The candidates who qualify the SNAP Test will be shortlisted for GE, PI and WAT. Shortlisting of candidates for Group Exercise, Personal Interaction, and Writing Ability Test will be based on their overall SNAP Percentage. Category-wise cut off will be published on the website of the respective institute. Online registration form along with his/her photograph and sign on it. Attested photocopies of SSC, HSC and graduation mark lists. In case the candidate is appearing for his/her last year examination, they must attach photocopies of all mark lists from the first year to the last examination passed. Work experience certificate /appointment letter and a copy of last salary slip, to prove the total experience in months. The candidates will receive an e-Mail message confirming selection to the e-mail id and selection letter will be dispatched to their address provided at the time of registration. The selected candidate is required to pay the fees as per the schedule to secure the admission; otherwise, the seat will be given to next candidate in the merit list. SICSR MBA (IT) Placement aims to allow the students to explore the best possible career opportunities and options to step into their career goals. The Placement Team conducts mock tests and Group Discussions to train the students to face the real scenario of the corporate world. Know more about the SICSR MBA (IT) placement by going through points below. SICSR Placement process is very fair for all it students because the Placement team of SICSR coordinates with various companies and invites them to visit the campus for the Placement activities. Through this process, the recruiters also find the best person for their companies. Some of the recruiters of SICSR Placement are Wipro, HCL, L&T Infotech, Google, Bank of America, ZenStar, ITC Infotech, Tata Technologies, Deloitte etc.